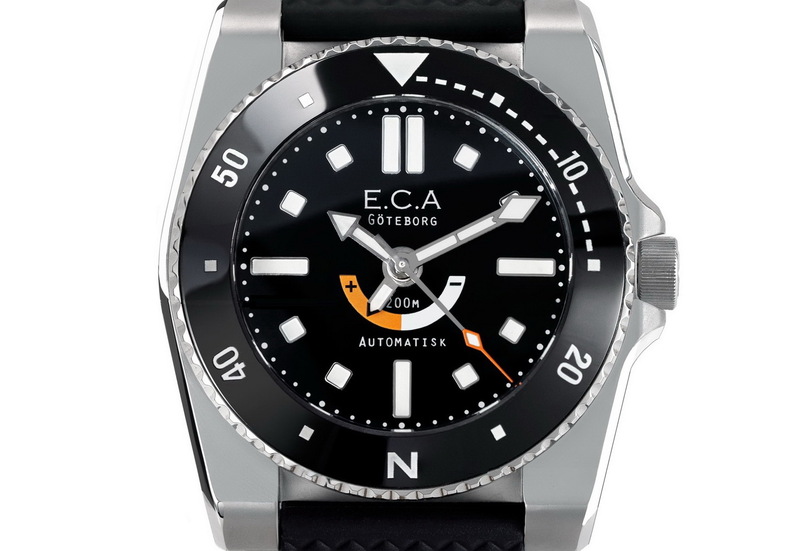 Here’s a handsome new diver from E.C. Anderson; designed to be an all-season tool watch, every bit as usable when scaling mountain peaks as it is plunging into the ocean’s depths. The Denise is the debut diver’s watch from, Swedish boutique brand, E. C. Anderson Watch Co. and is according to them is the best watch they’ve ever made. 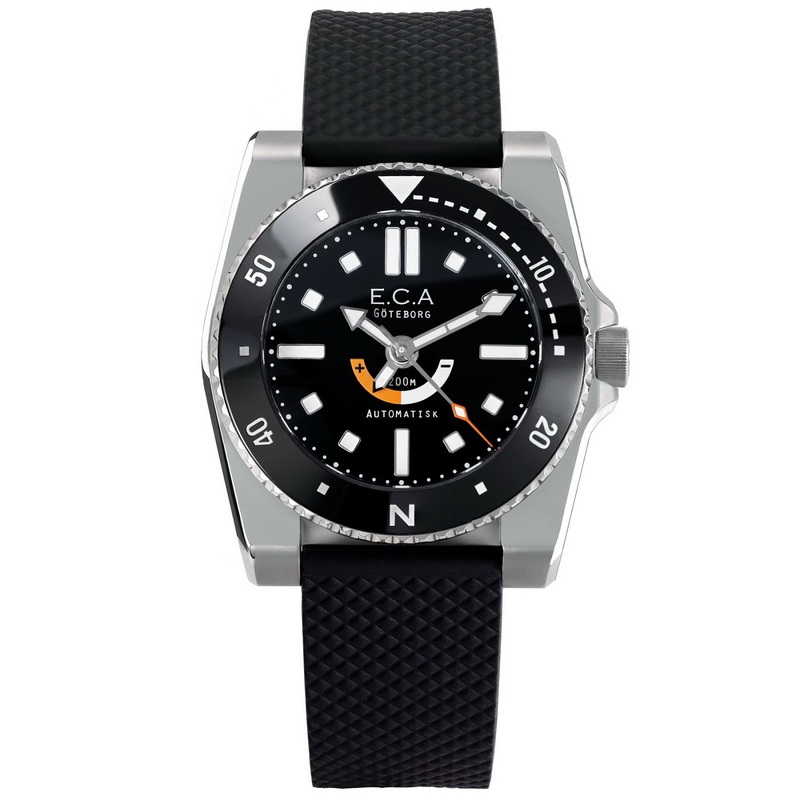 One of their previous models, the Calypso was certainly a looker and this – well, it’s the diver variant so what could be better. Boasting a ceramic bezel with both 50-min scale and a single cardinal point (‘N’ at 6 o’clock), the Denise doubles as a dive-timer and a compass. BTW, more info. 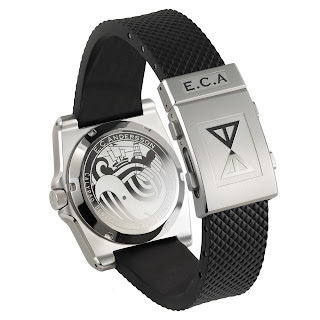 on utilizing the compass feature is explained, on E.CA.’s website. 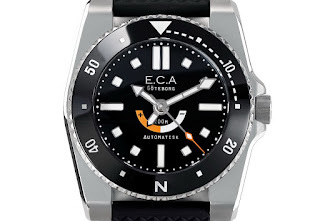 A centrally positioned power-reserve indicator lets you know exactly how much autonomy remains from the 50+ hours that its automatic movement provides. 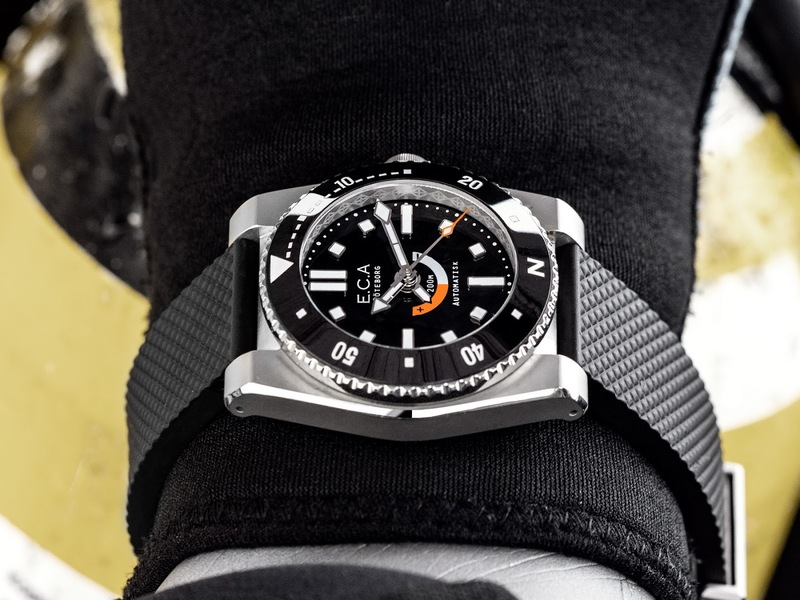 providing an additional 8.5mm without needing to remove the watch from your wrist, so that you could quickly expand the bracelet when wearing the Denise over a wet-suit or ski-jacket. The lugs are drilled to fit single-shoulder spring bars, securing the bracelet from being accidentally torn off the case. 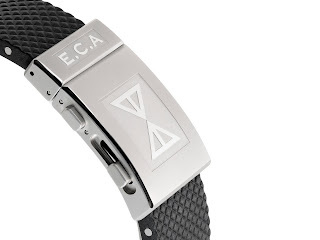 Future integrated steel bracelet options are enabled thanks to the angles between the lugs. 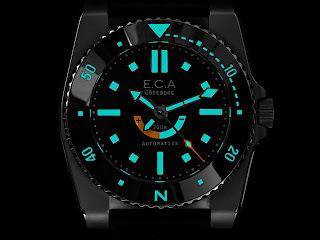 Water-resistant to 200m, the case works off of the previous Calypso’s sturdy design with broad shoulders and clear-cut bevels swirling around the watch from all 46mm of its lug-to-lug. 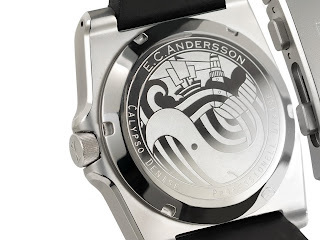 However, the Denise is shorter than the Calypso by 2mm while remaining 40mm in diameter. It has a height of 14mm and features finely applied angles to achieve a sleek profile on the wrist. 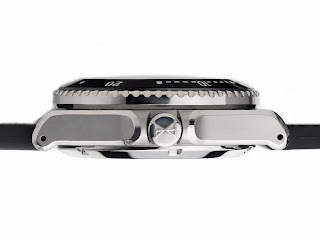 The Denise has a special pre-order price of 760, down from 960 euro. Its delivery is expected in July 2019. Follow the link embedded, below for more info. Thoughts? 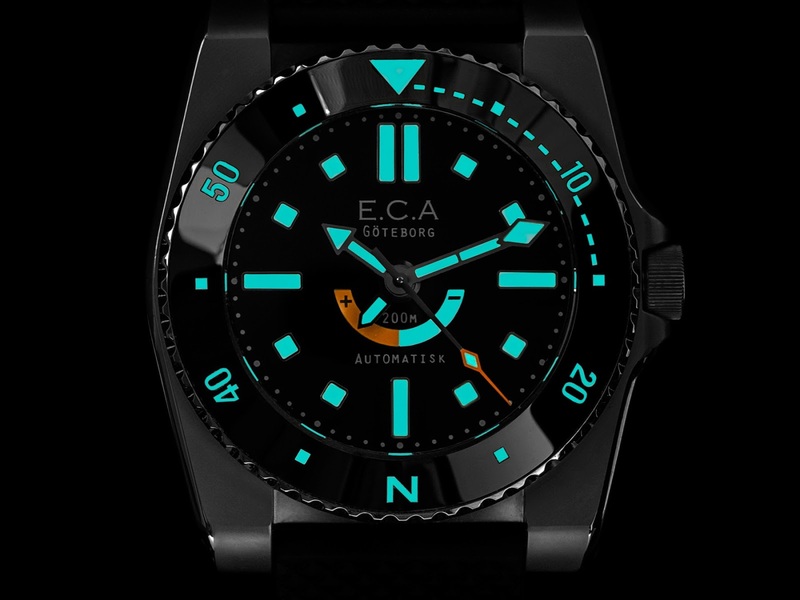 Love the looks, love the concept – just wondering what E.C.A.’s Cal.ECANE01 is based on – if it’s Swiss, all the better but if it’s Jap (sigh). What do you think?